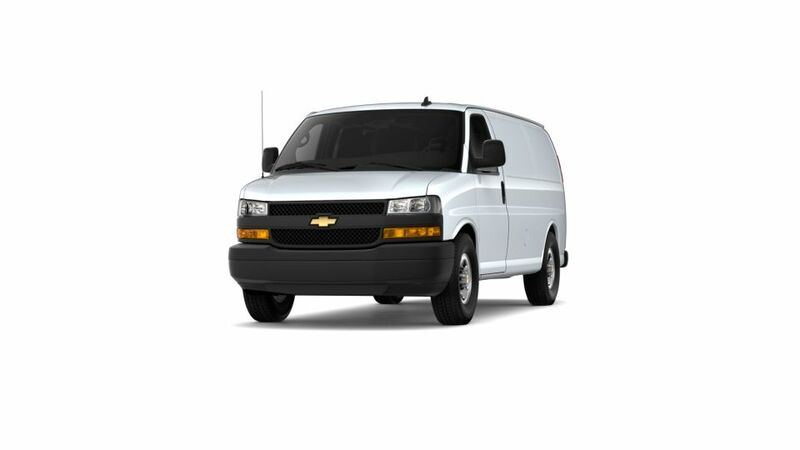 Why is the Chevrolet Express Cargo Van such a popular van with Riverside drivers? • The Express Cargo Van is a small van that is multipurpose and a good vehicle for local businesses. • With 122.7 cubic feet of cargo storage and a turning diameter of 36.7 feet, you can fit a lot of equipment into this van while maneuvering through tight city streets. • It has highly-rated safety features including rear park assist and a tire pressure monitoring system to help prevent collisions and unexpected repairs. Browse our inventory of new Chevrolet Express Cargo Vans in Riverside to discover the trim and add-ons that work for you. For extra details on test driving an Express Cargo Van, contact us at (951) 643-7003. Are you in the market to upgrade your current vehicle? Riverside Chevrolet has a premier selection of well priced new Chevrolet Express Cargo Van vehicles and other popular models for your driving needs. As a favorite new auto dealership in Riverside, CA, we proudly offer some of the best values on our top selling models of cars, SUVs and trucks, boasting the latest in design, technology and features. Come in today for a test drive in any of our featured Riverside new Chevrolet Express Cargo Van vehicles on special or other new and used models that catch your eye available now at our popular dealership. For Riverside new cars, trucks and SUVs, the best deals are at Riverside Chevrolet.